This week’s idea is not one of mine, but one that Anne shared with me. Start by watching the video and then I’ll join you again after. 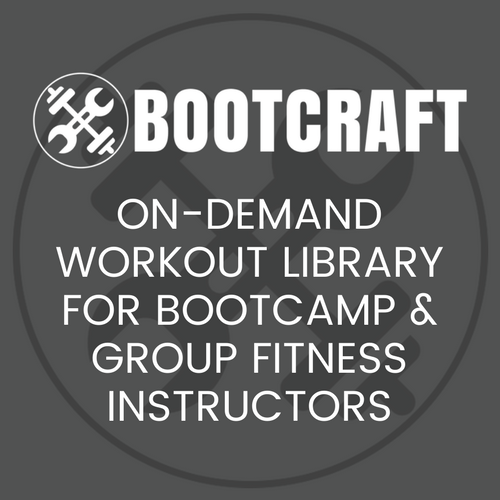 Split your bootcampers into teams of 4 people (mixed fitness levels). You will need to set up a cone route for each team (do this before the workout). On your word go, one person from each team at a time completes the cone route as fast as possible. When they complete their round they high five the next person in their team who then immediately goes. Keep going, without breaks, until everyone on each team has completed the course twice. If you have a team with less then 4 people, some of their team will need to run a third time to make up for their smaller group.